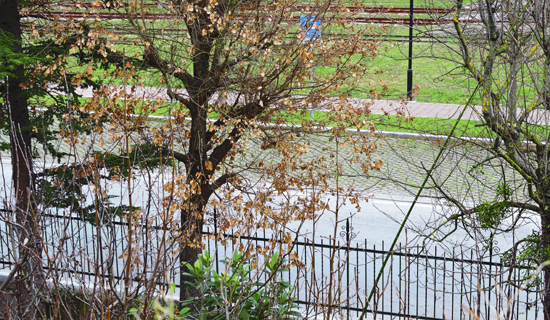 B&B guests, during their stay, can use the convenient and large free parking with a dropped kerb next to the structure. Care, love, the small details in breakfast preparation, kindness, attention for guests, all of this is an added value. 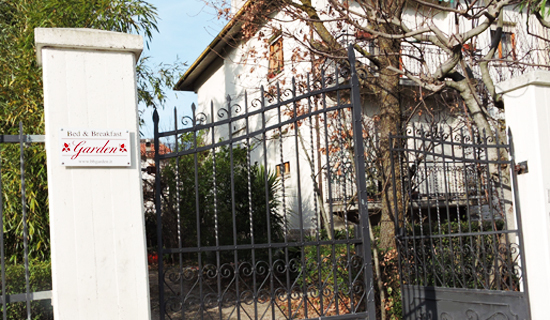 B&B entrance is located on the side of the villa, not next to the main road. 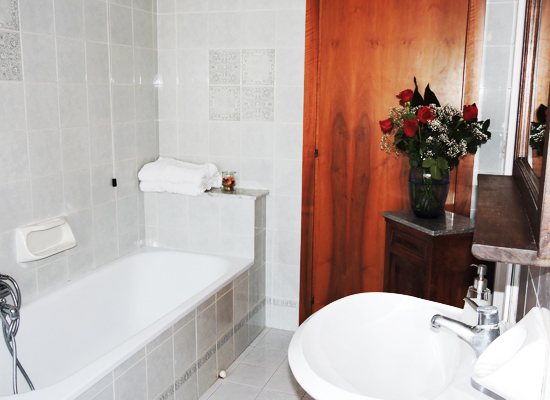 It ensures privacy and tranquility to our guests. 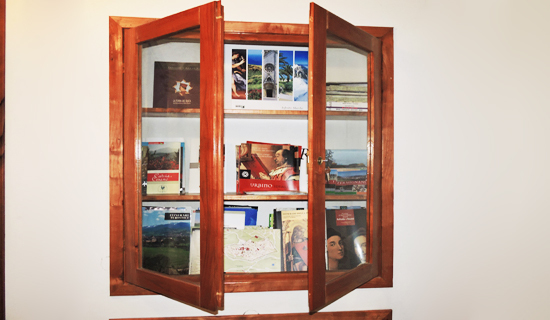 Our guests can choose from a vast selection of books and tourist guide to get a better understanding of the territory and its artistic heritage. Breathe in. Breathe out. Meditate. 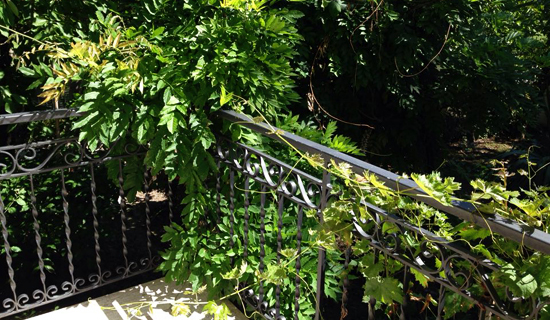 The B&B’s spacious garden is the ideal place to wind down after a day spent exploring the beauty of this area. 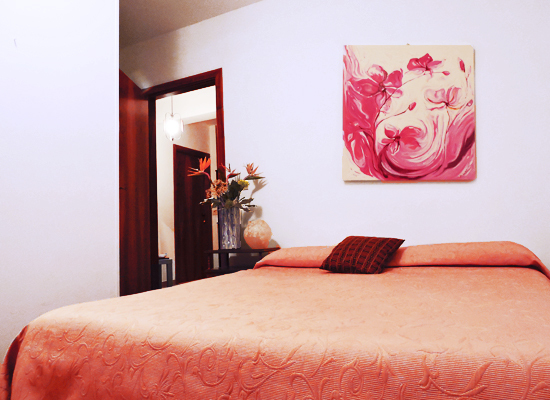 Located in the homeland of Bramante, Fermignano, B&B Garden has 3 spacious and bright double rooms, complete with big private, fully-equipped bathrooms and balcony, breakfast service, linen and bathroom towels, daily cleaning service. 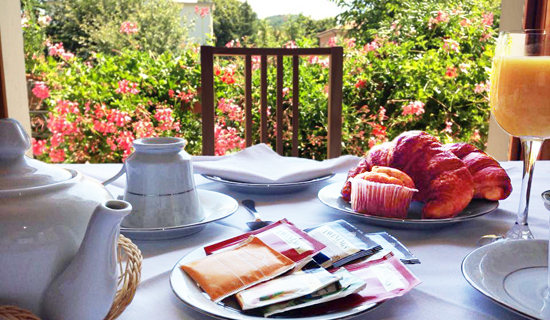 The atmosphere, the green space surrounding the B&B and its total independence make it the ideal place where you can relax after a day spent exploring the beautiful city of Urbino and the hills of Montefeltro. 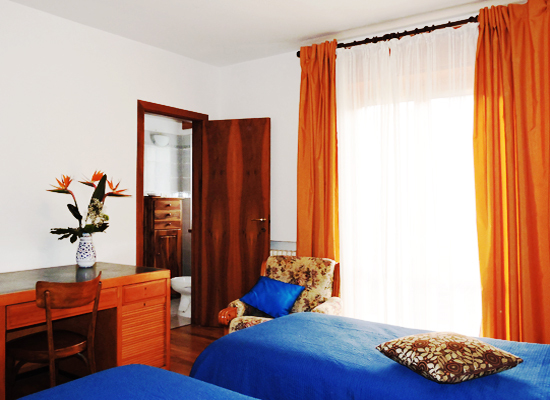 A great value B&B for everyone: excellent for holidays, weekends or a business/study stay. 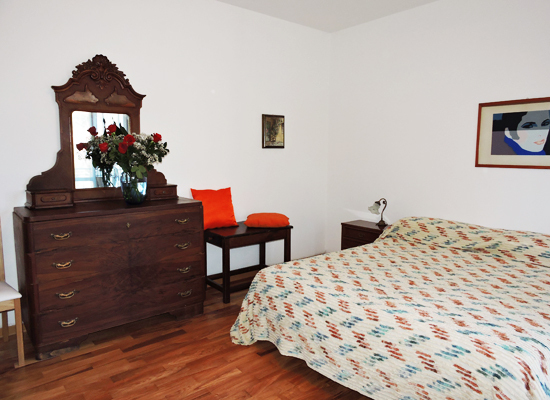 Inside the B&B , guests can use a shared room for breakfast, a relax corner, kettle, tea and coffee. A well-supplied library with various books (including children books), touristic material about Urbino and Montefeltro, Umbria and Marche area. 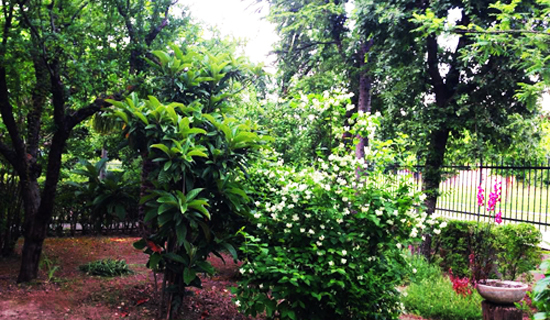 Outside, there is a vast garden, created by the owner, which hosts several endangered types of roses and trees (old almond tree, domestic sorb tree, cornus tree, azarole tree, quince tree, rust apple tree, jujube tree, gooseberry and botanical shrubs), where you will have the chance to sunbathe and relax after a day of exploration. 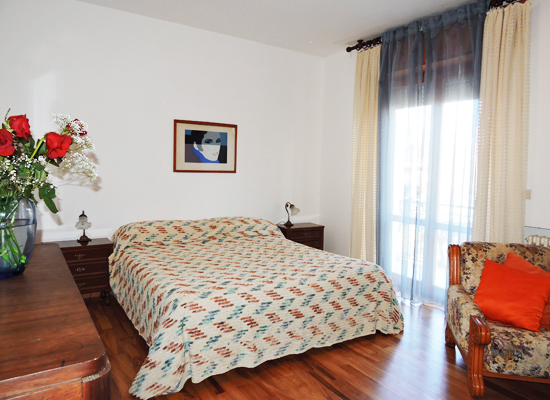 This bright and spacious double room with single beds and balcony is ideal if you want to stay with a friend. 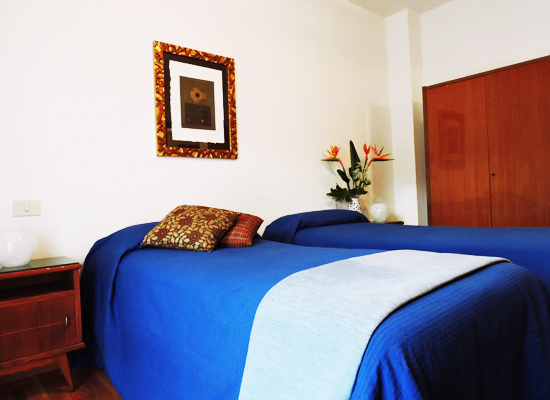 If you are a couple, you can join the two beds to make a comfortable double bed. In-room bathroom with windows and large shower. Our biggest room, quiet and comfortable. Complete with ancient furniture and a wardrobe with drawers from the early 1900s. 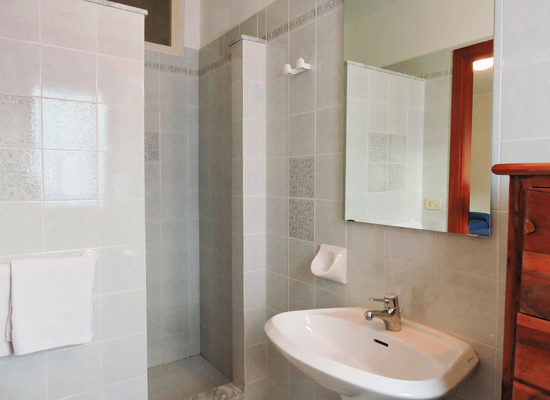 Spacious private bathroom with bathtub and big window, wood flooring and balcony with view on the garden, everything will make your trip unforgettable! This single room is ideal if you want absolute tranquility. The wood flooring will make your stay warm and comfortable. Private in-room bathroom with big shower. Bed sheets change once a week. Additional bed available on request (€15/night, breakfast included). Booking requires a down payment of 30% of total price for stays longer than tree days, that can be paid via Paypal or Bank Transfer. Booking will be confirmed upon down payment reception. Final payment must be in cash (unfortunately we still don’t have a P.O.S. for technical reasons). If booking is cancelled more than 15 days before scheduled arrival date, down payment will be refunded. Children younger than 4 stay for free. Check-in is from 2.30 PM to 7.00 PM of arrival day. Check-out is not later than 11.30 AM of departure day. If your estimate arrival is different than the one scheduled, please contact us in order to avoid inconveniences and wait. Breakfast is served between 7:00 AM and 10:30 AM. 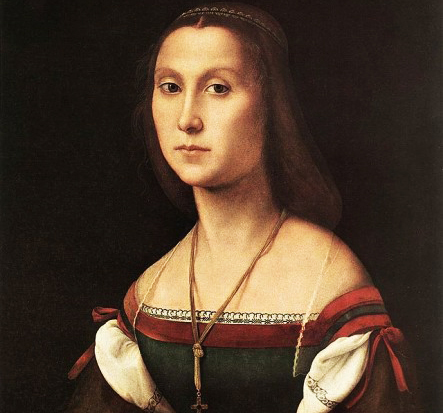 Cradle of Renaissance, this court hosted the most important artists of the time such as: Piero della Francesca, Francesco di Giorgio Martini and Raphael, who, together with Bramant, started his career in Urbino. 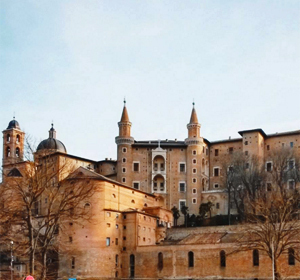 Palazzo Ducale is one of the most interesting architectonic and artistic examples of Italian Renaissance, symbol of Urbino, UNESCO World Heritage, today it hosts Marche’s National Gallery. 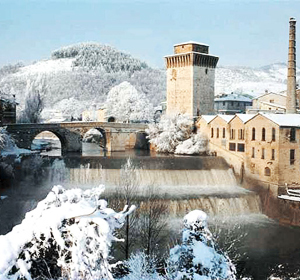 Located on the shores of river Meturo, which inspired poet Tasso, Fermignano has a small but symbolic old town centre in which industrial architecture of the ancient paper factory merges with the city’s symbols: Roman Bridge and Medieval Tower. 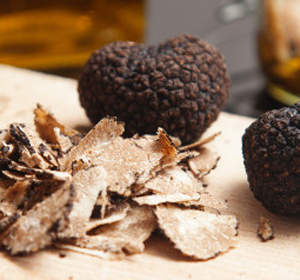 B&B is located in a part of Montefeltro that is rich of numerous typical examples of food and wine: from Carpegna ham, craft beers, Urbino casciotta cheese and the precious Acqualagna truffles, to crescia sfogliata, and Visciole wine. The changing panorama, from smooth hills to harsh mountains makes for a very exciting adventure where you will be able to discover the beauty of a territory, and you don’t need specific training. 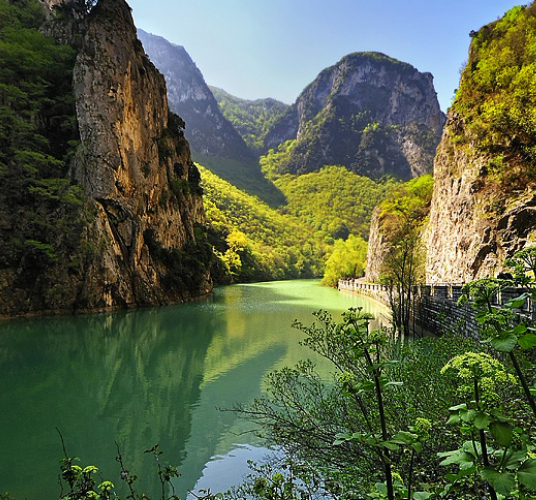 Also in Fermignano, a few kms form the B&B, you will find the natural reserve of Gola del Furlo. Artisanal activities have a very ancient tradition in Montefeltro, the most famous one, since the Renaissance, is certainly ceramic ware. 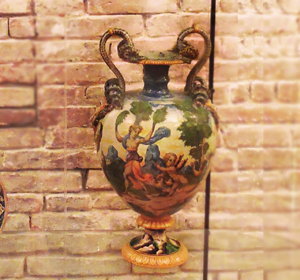 The most famous examples are Urbania’s majolica. Art prints, wood inlays and rust-printed fabrics.